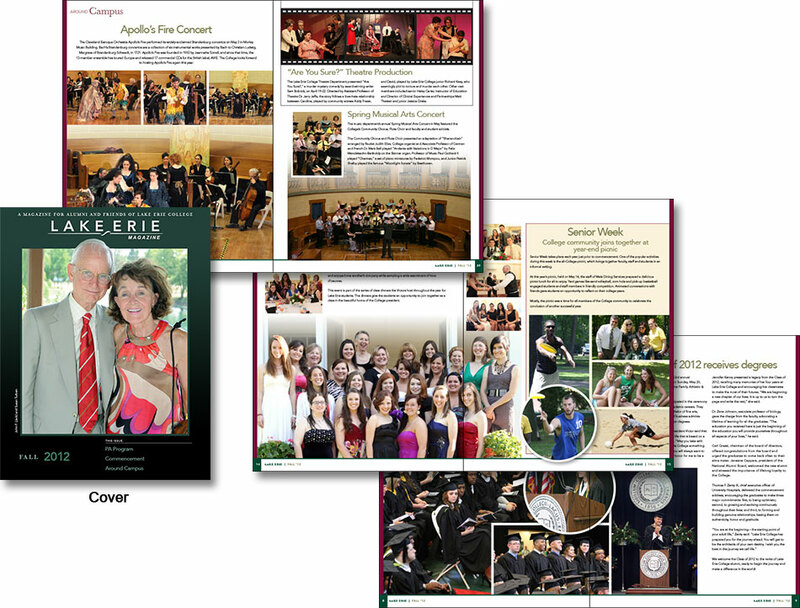 (Above) Cover and three spreads from 60-page Alumni Magazine. Like an annual report, an Alumni Magazine is an extremely important investor relations piece. It must exude dynamic professionalism while also promoting the branding standards already established. Lake Erie College’s 60-page Alumni Magazine above was published in Fall 2012. It’s the fourth publication designed by Edwards Communications and much pride has been taken in the development of it by Edcom and LEC’s marketing team as well as their writers. 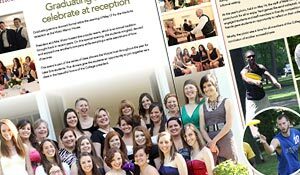 Also like an annual report, the Alumni Magazine is an very comprehensive publication of timely articles and photos that must be executed accurately and relatively quickly. The LEC publications frequently are over 50 pages and 200-400 photos that are carefully selected for content and resolution, color/lighting corrected and many custom enhanced for effect.